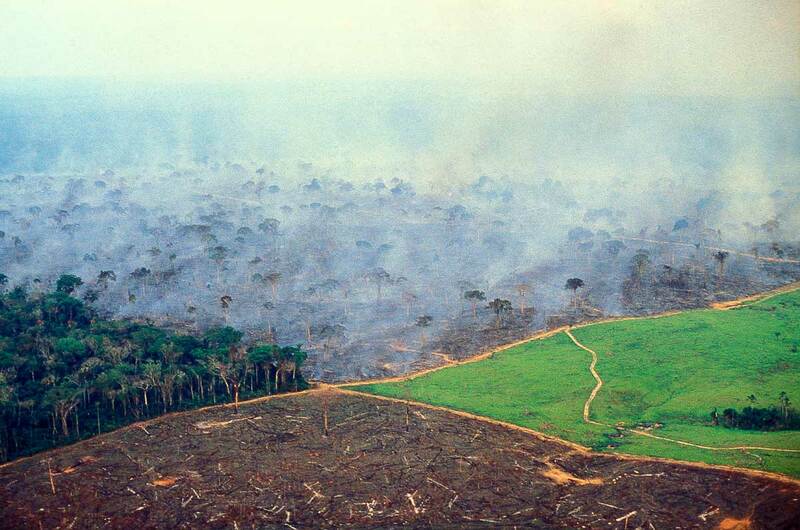 Amazon rain forest deforestation, Brazil. Four stages in land management on a big cattle farm in Acre State: In the foreground, naked clear land where the forest has recently been burned and grass will be grown. On the right, a pasture waiting for the cattle. In the background, the forest being burned to make pasture. On the left, native forest, which will soon enough undergo the same.